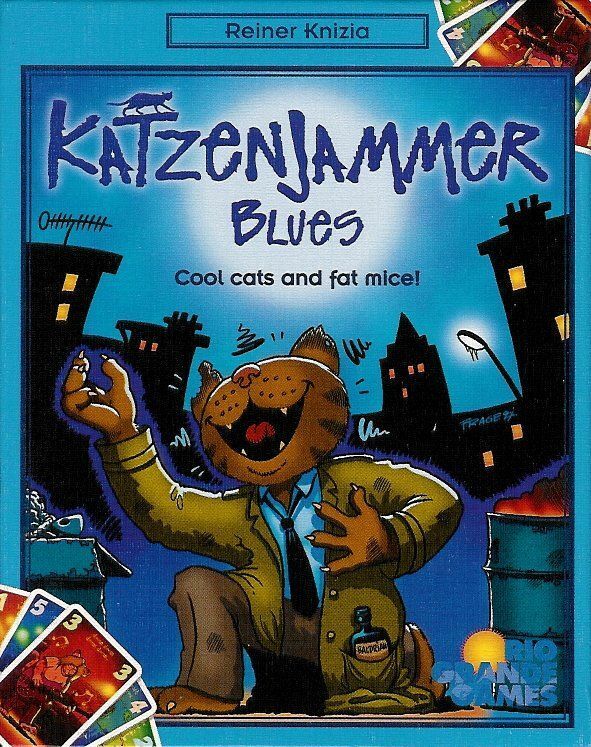 Katzenjammer Blues is an unusual hybrid of rummy and auction rules, with a couple of strange ideas thrown in about the game ending once 20 points, total, have been scored, and a 5-point penalty for most jokers. It's a quick, cutthroat card game, colorfully decorated with cartoony blues-band cats and mice. Part of the Goldsieber Ã la Carte line of games.